Gamers have grown bored by romancing attractive, fully developed characters. They crave something new, something less conventional. The question is, where do you go after having players romance and date sentient chicken wings? The answer is, Dream Horrors. 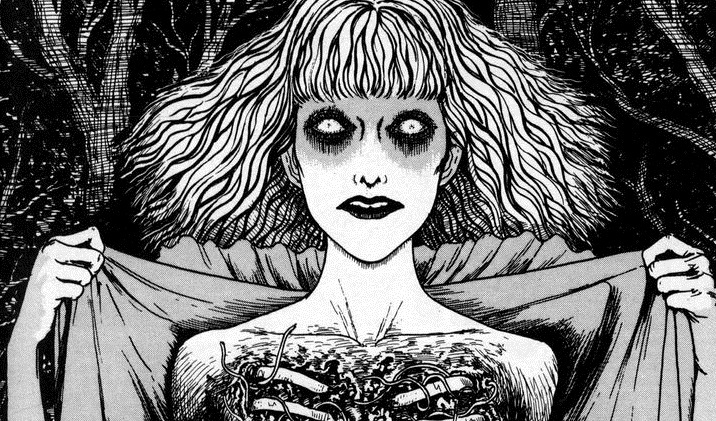 This brave new game features the art of Japanese horror mangaka, Junji Ito. Dream Horrors is the first visual novel to let players find love with personifications of obscene body horror and existential terror. While other dating sims might allow you to date monsters, few are brave enough to let you woo deep seated fears you never realized you had. In an unrelated interview Junji Ito said, “A human form tunnel and a neck-hanging balloon are also a type of cavity.” Sounds like players can expect some explicit scenes in the upcoming game. Dream Horrors is scheduled for release April 1, 2020 on all platforms that are Steam. Which horrifying abomination will you choose to be your one true love?